I enjoyed working on this sleeve , I completed the lower half ages ago and it was good to see the geisha finished, plenty of japanese style work rolling in just now, I’m looking forward to finishing off a few more sleeves in the coming weeks . 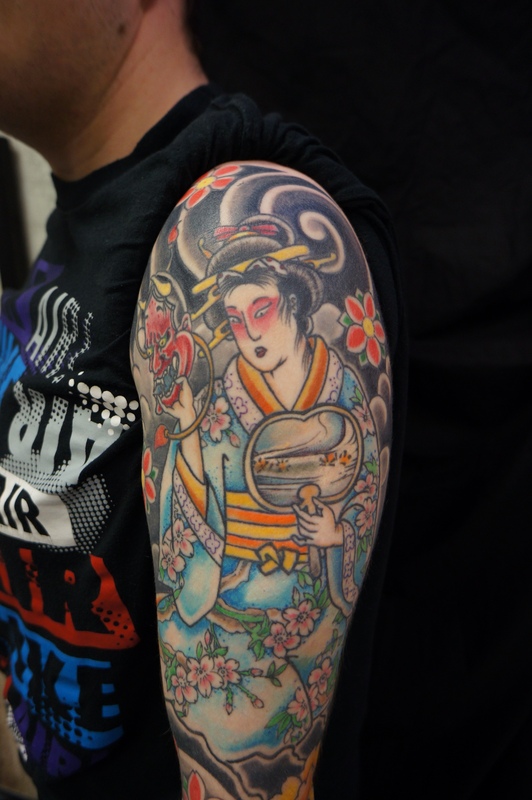 This entry was posted in Uncategorized and tagged fan, geisha, geisha tattoo, Glasgow, japanesetattoo in scotland, luckycat, roddy mclean, sleeve tattoo, timelesstattoo, timelesstattooglasgow. Bookmark the permalink.